OBJECTIVE - This game can be used to practice or review grammar topics as well as vocabulary. AGEL LEVEL - Young learners and above. PROFICIENCY LEVEL - High beginners and above. MATERIALS - Slips of paper or cardboard which will work as the domino pieces. 1) Select the grammar topic or vocabulary items you want to practice, reinforce or assess. 2) Choose the format you want your activity to have: word and its synonym/antonym; word and its meaning; question and answer; if clause and result clause; etc. 3) On a blank document, insert a table with two columns and as many lines as you wish. 4) The first slip should have a star in the left box and a word, question, if clause, etc, in the right one. Who did Cinderella ask for help to go to the Royal Ball? 5) In the left box of the next slip, write the synonym/antonym, answer, definition, result clause, etc, that matches the previous box. She asked her Fairy Godmother for help. 6) This should go on until you have the last left box filled. The last right box should also have a star, since it's going to match the first one. 7) Since Domino is more fun to play in larger groups, make as many sets of copies as you will need for your class, cut the slips (be careful not to mix the sets! I've done it, and it's hard to reorganize), shuffle them and set your students to play! Have fun! Attached here is a game I have prepared to practice subject and object questions, adverbs of manner, and "used to". What did you use to do when you were little? I used to watch cartoons on TV when I was little. Who do students call when they have doubts? They call the teacher. name. My money was stolen from the bank. No one has found out who stole it. They are looking for men wearing masks. Of course not! I’m an honest person! What did you use to eat when you were a child? Oh… I used to eat porridge and all kinds of sticky food. Who takes care of our security? How should students write their compositions? They should write them carefully and clearly. Why did she have a car accident? Because she was talking on her cell phone while driving. Oh, I speak it very well! What were you doing when the bell rang? 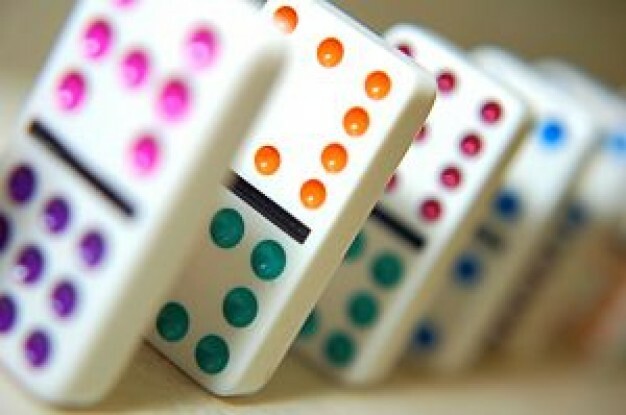 do you play like dominoes, but in twos?